When we arrived in Melbourne, we were still very much in the mood for some Asian cuisine. Being a dim sum Virgin until our recent trip to Chinatown in Singapore, I've now really developed a taste for thr stuff. So, upon our arrival to our temporary home of Brunswick West, we headed to Po's Kitchen, in the Berkley Precinct, just off Sydney Road. We wanted something quick cheap and tasty. That's exactly what we got. 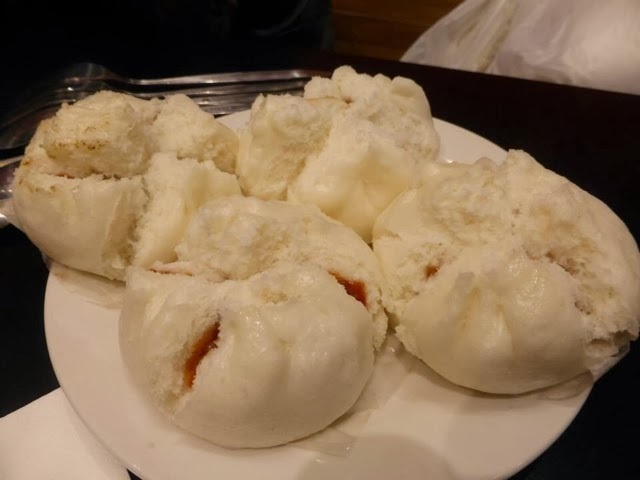 We opted for some BBQ pork buns to share, something which have quickly become a dim sum favourite with me. 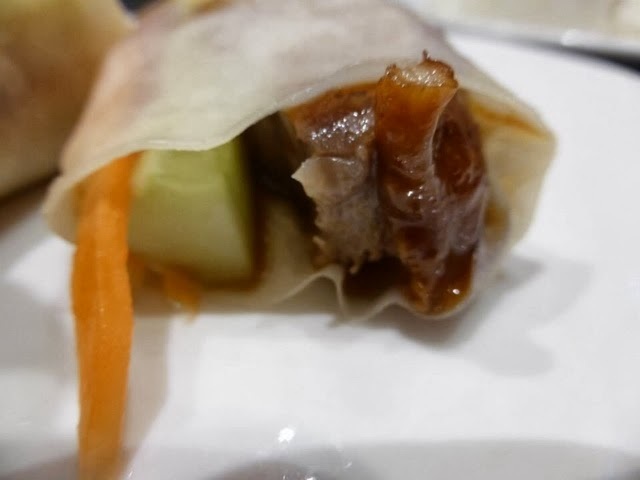 The bun was perfectly sticky without being stodgy, while the BBQ filling included succulent meat and a rich barbecue flavour. 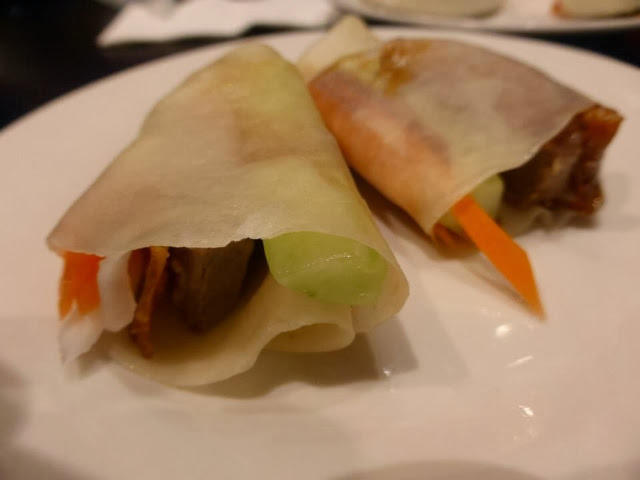 I decided on the Peking Duck wraps and some special fried rice. In hindsight I ordered far too much as the pork buns had already filled me up. 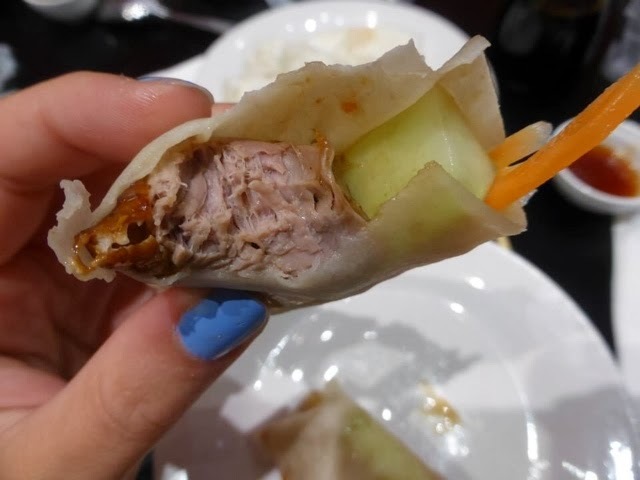 The Peking duck wraps were delicious - a piece of cucumber, hoisin sauce and meaty, tasty duck. Then, the biggest portion of rices arrived. 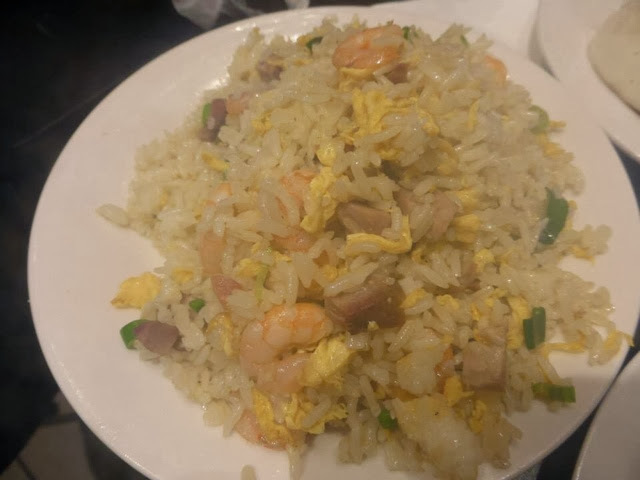 Now, I tend to be a little skeptical when it comes to fried rice - sometimes it is far to greasy, or has very little flavour or simply doesn't taste fresh; this rice was none of those things. Prawns, spring onions, fresh egg fried rice - delicious. I paid around $15 (AUD) for this meal which, if you know Australian food prices, is brilliant. 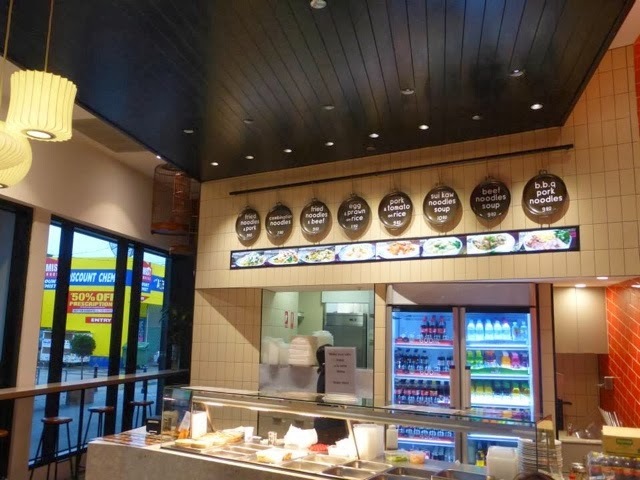 The quality of food was great, the service was quick and it's just the kind of place I would recommend going if you are in the mood for a quick, casual bite to eat.